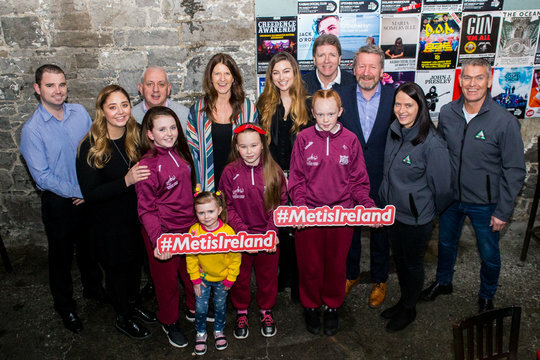 Metis Music for Mental Health 2019 – Corpus Christi Primary School, Pieta House Midwest and Limerick Suicide Watch receiving their contributions from Metis Ireland. Photo: Cian Reinhardt. 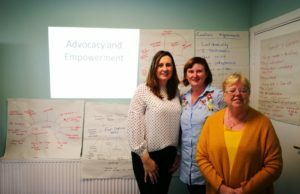 Metis Ireland recently held the second Metis Music For Mental Health 2019 event in Dolan’s Warehouse on January 12th last. The original gig in Jan 2018 was meant as a one-off but the success and subsequent feedback meant that another was on the cards. 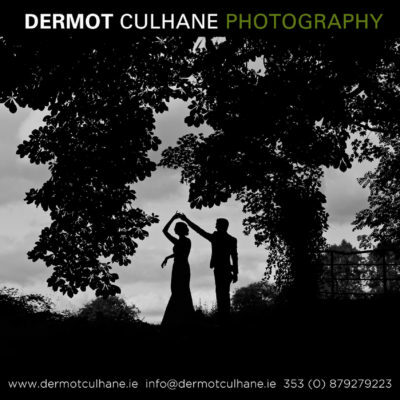 Fast forward to January 2019 and a line-up of local artists including Corpus Christi Choir Moyross, Dora Gola, Dylan Murphy, Conor Ward, Emma Langford, Louise O’Flanagan and Broken Cord, Stray Saints, David Hope, Shannon Gospel Choir with surprise guest comedian Jon Kenny together with Meghann Scully as compere and a packed Dolan’s Warehouse guaranteed another fantastic night of entertainment. The idea for the first Metis Music for Mental Health gig is to raise awareness for the huge and pervasive issue we have in Ireland revolving mental health and suicide. 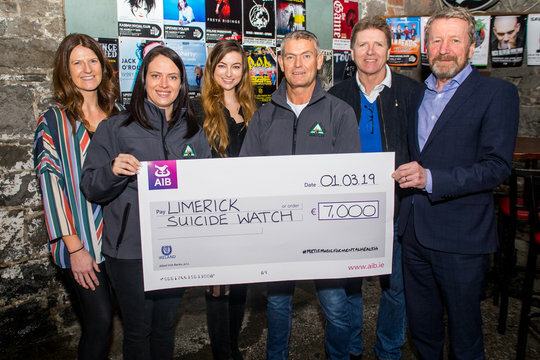 Limerick Suicide Watch, a voluntary group, does absolutely phenomenal work in preventing suicide. They patrol the River Shannon into the early hours of the morning to help and support people who may be contemplating their lives. They are there to prevent a horrible and unnecessary tragedy from occurring. 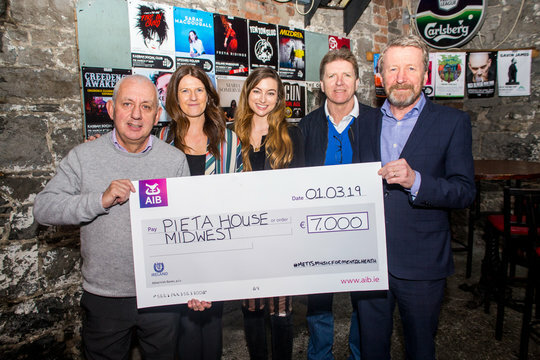 Pieta House is a suicide and self-harm crisis centre. The organisation provides counselling services to people free of charge who again are contemplating or have suicidal tendencies. 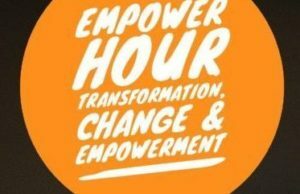 They have helped over 30,000 people in suicidal distress or engaging in self-harm, and established twelve subsequent centres across Ireland. 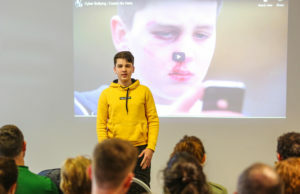 Metis’s Irelands Karl Daly was responsible for organising this first heart-touching event. The success of the evening was made possible by massive support from Limerick businesses who contributed generously to raise much-needed funds for the nominated charities. At Metis Ireland the ethos is to give back where possible. The issues of Mental Health have never been as big a problem in our society as they are today. You would think that in a modern country with everything “on tap” that life should be good….for everyone. I have news for you ..IT ISN’T. Far from it in fact. Today’s world brings with it massive pressures and statistics are jumping off the page where the issues of Mental Health are concerned. This scourge is not restricted to any particular sector of society and it affects the well off and the not so well off equally. Metis is not trying to solve anything because this issue is MASSIVE. What they are trying to do along with many others is bring awareness to a situation that in itself causes the problem to deepen. If someone is sick with a “normal” illness …they get help…take medicine or whatever. Having a Mental Health problem is not curable with medicine BUT getting help is essential. What happens, however, is people bottle up the “illness” because it is perceived as “not normal”. This in itself worsens an already chronic situation and so the horrendous statistics multiply. #MetisMusicForMentalHealth is an event linking artists, music, people and awareness of this situation to put Mental Health in the spotlight for a little while AND raise some funds for the organisations that work at the coalface every day. 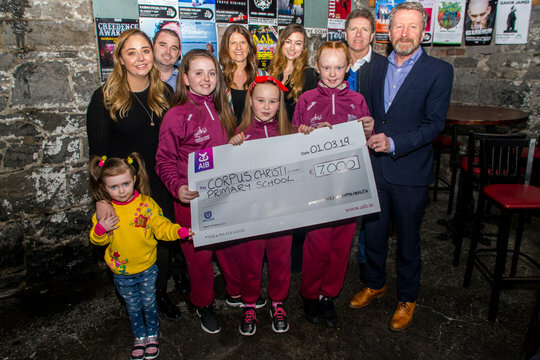 This year the gig raised €21,000 and supported Limerick Suicide Watch, Pieta House and Corpus Christi Primary School Moyross in their daily endeavours to help others. Metis Ireland would like to thank ALL of Limerick Business who helped raise this money and by attending packed out the venue and ensured a successful and enjoyable evening. All the people who helped in organising the event and all the artists who took part AT NO CHARGE….. They are eternally grateful and know that together PEOPLE ARE GOOD. Metis Ireland wish everyone a healthy and happy year ahead and look after yourselves. Remember the theme on the night …Be Happy, Be Sad, Be Yourself. For more stories about Metis, click here.